We all know that men and women often differ in matters of the heart. But those differences are literal as well as figurative, and women need to be alert to heart issues – at a much earlier age than they may have thought. Although it is true that a woman’s risk of heart disease is greatest after menopause, experts are worried that younger women may simply ignore warning signs. They note that heart disease is the top killer of all women over age 25. According to the American Heart Association, coronary heart disease is the leading cause of death for American women. And heart disease and stroke kill almost twice as many women every year as all kinds of cancer combined. Allthough men are more likely than women to suffer a heart attack, women are more likely to have a stroke. In fact, more than 60 percent of stroke deaths occur in women, according to the American Heart Association. Part of the difficulty that women and their doctors face is that heart disease may show up differently in women than in men. For example, research by the National Institutes of Health revealed that traditional testing may not show if a woman has coronary artery disease, which significantly increases the risk of heart attack. When a patient complains of chest pain, his or her doctor probably will order an angiogram, in which dye is injected into the coronary arteries to check for blockage. In women, however, the arteries may appear clear because plaque accumulates differently in the arteries of women. As a result, their angiograms may show no blockage, and their doctors may decide – incorrectly – that no further treatment is needed. In addition, the symptoms of heart attack are often different for men and women. Men tend to experience extreme, crushing chest pain. Women may experience less dramatic symptoms, including dizziness, nausea, shortness of breath or sweating. They may be less inclined to identify these symptoms or to seek treatment. 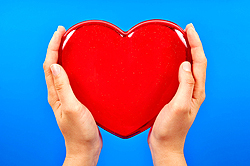 So what can women do to protect themselves against heart disease? According to the American Heart Association, knowledge is power when it comes to taking care of the heart. Women, like men, should have their blood pressure and their cholesterol checked regularly. If they have high blood pressure or high cholesterol, they should work with their doctor to bring those levels back to a normal range, either through lifestyle changes or through medication. Women also should talk with their doctor about their family histories, including any close relatives who suffer from heart disease or died of heart attack, stroke or other cardiac event. And they should talk to their doctor about any symptoms they are feeling, no matter how slight. Experts think that one reason women are likely to be much sicker when their heart disease is diagnosed is because they are reluctant to seek help or talk to their doctor. Finally, doctors say, women hoping to avoid heart problems should follow the same advice as people wishing to avoid most medical problems: Don’t smoke, achieve and maintain a healthy weight, get plenty of exercise and eat a healthy diet that is heavy on fruits and vegetables and light on saturated fats and red meat. For more information about heart health, including risk assessments, discussion of symptoms and suggestions for living a heart-healthy life, visit the American Heart Association Web site.